Rathasapthami, or Ratha Saptami, is an important annual festival held at Tirumala Tirupati Balaji Temple. 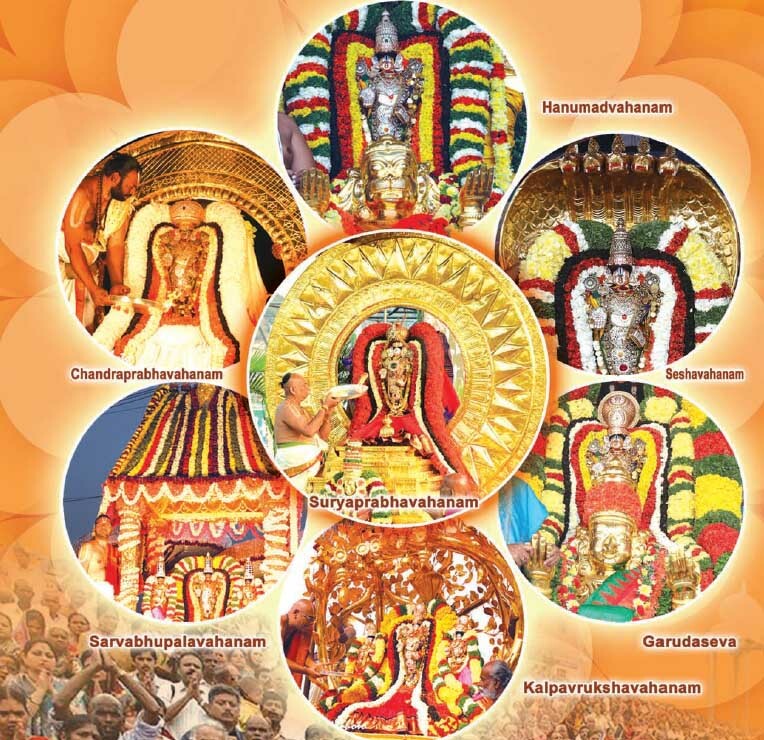 The most important event of the day is the procession of Lord Venkateswara (Malayappaswamy) and his consorts atop seven Vahanams (vehicles). Ratha Saptami 2019 date in Tirumala is February 12. TTD observes the festival as Surya Jayanthi. The uniqueness of the festival lies in the fact that devotees can view and get the blessing of Balaji atop different Vahanams. Even during the famous Brahmotsavams, Lord Balaji mounts only on two Vahanams (vehicles). But on the Ratha Sapthami day, devotees are blessed by the processional deities of Lord Venkateswara, Sri Devi and Bhudevi from sunrise to sunset on seven different Vahanams. Ratha Sapthami is observed throughout India in different names. It is essentially the worship of Lord Surya (the sun god). The rituals vary from region to region. 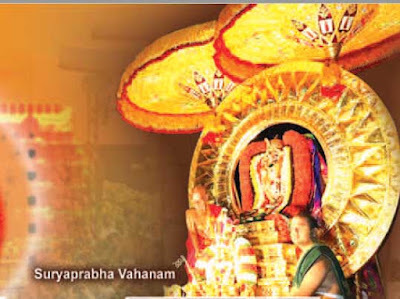 On the day of Ratha Saptami in Tirumala, witnessing the Surya Prabha Vahanam is considered highly meritorious. The Vahanam arrives early morning just before sunrise carrying the Lord and this is the first and foremost vahanam of Lord Venkateswara on the day. wears all His five powerful armors including conch, chakra, mace, and sarja and is adorned with a diamond crown, the garlands prepared with diamonds and floral gardens comes out from the temple as a procession through the “Mahapradakshinamarga” followed by elephants, horses, oxen, the groups of devotees singing ‘bhajans’ and chanting loudly the names of ‘Govinda.’ The entire temple attains a mood of pomp and gaiety. Lord Venkateswara reaches the ‘dias’ arranged specially at the ‘north-west’ corner. Seated in the golden ‘Suryaprabha Vahanam’ led by seven horses, the rising sun baths Lord Venkateswara from feet to head with his red rays. The belief is that early morning sun takes the blessing of the Lord of Tirumala. The priests offer fruits in a gold plate and offer grand and auspicious camphor ‘arati’ to the Lord. Thousands of devotees arrive to see Lord Venkateswara on Suryaprabha Vahanam getting bathed in the early morning sunrise. The belief is that those people who witness the ritual and offer prayers will never be troubled by Surya Graha dosha and other Navagraha doshas. The significance of Ratha Saptami and how it is observed in various parts of India.